The idea is simple: Design a mobile home than can go on water. That's exactly what the Sealander ( $20,500) is about so your journey doesn't always have to stay on land. 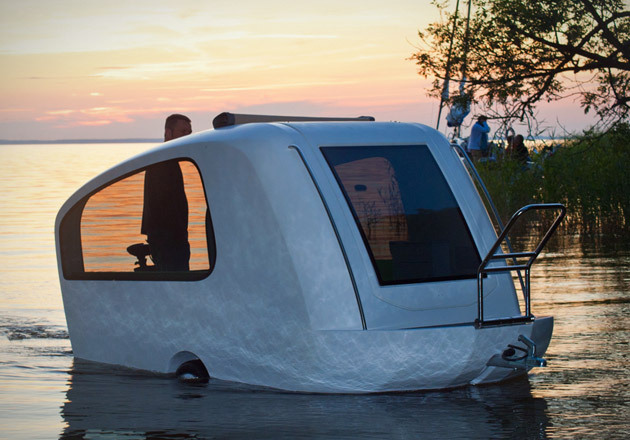 This amphibious mobile home features a waterproof chassis that eliminates the need for a boat slip or trailer system to go in the water, a wide lower shell for better buoyancy and extra stability, a low-emission electric motor and a rechargeable battery to fully powered interior living area. The Sealander is perfect for exploring an island, swimming, fishing or simply chillaxing on the water.